“We need a partner that has an agreement on industrial assembly, and KAMAZ has it,” said Mercedes-Benz Russia CEO Jan Madeja in an interview with Vedomosti daily. Daimler and the Russian truck maker already have a joint venture Daimler KAMAZ Rus that has a state subsidy on the import of auto components in return for increased capacity and localized production in Russia. At present, the joint venture produces Mercedes-Benz and Fuso trucks, and is also constructing a factory to make bodies for trucks. Daimler has a 15 percent stake in KAMAZ. 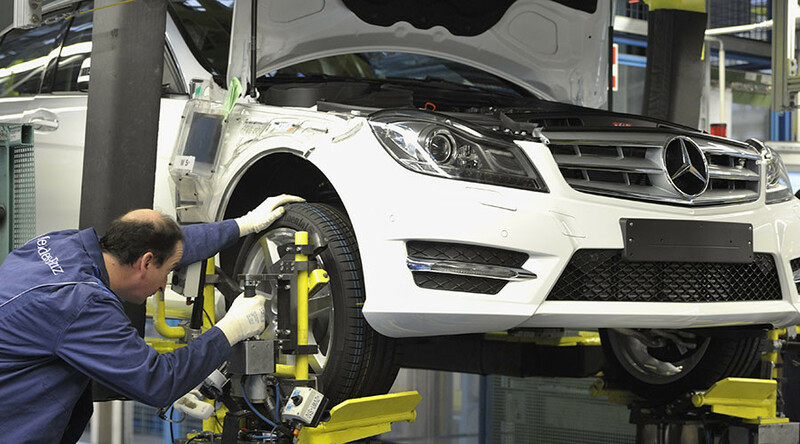 Russian Ministry of Industry and Trade officials have said Mercedes-Benz is to build a passenger car assembly plant in the Moscow region that will start working in 2019. The German company hasn’t officially confirmed the deal yet. According to Vedomosti, it will be a full-cycle plant with a capacity of up to 25,000 vehicles a year. It’s not yet clear which Mercedes cars it will make, but Madeja said it will represent the most popular models on the Russian market. The most popular models in Russia are the C and E Class sedans, as well as the GLS, GLA, GLE, GLC models. Last year, 41,614 Mercedes-Benz passenger cars were sold in Russia. This year, the company has sold 22,093 cars in the country through July. Daimler is one of the few foreign car producers that continue to invest in the Russian market. “We have recently opened a huge logistics center, a warehouse of spare parts worth €72 million. It was built in a year. We also invested about €11 million on the reconstruction of a three-level showroom Mercedes-Benz Plaza on Leningradsky Prospekt in Moscow,” Madeja told Vedomosti. “The Russian car market continues to decline, but we are seeing signs of stabilization. In July, we even saw a one percent growth in sales,” he said. Madeja added that a stable ruble is crucial for Daimler’s business in Russia, and sales can go up 3-7 percent in 2017, if the Russian currency is stable.